Hobbs & Porter manufacture stainless steel square edged kitchen worktops for domestic kitchens throughout the UK. 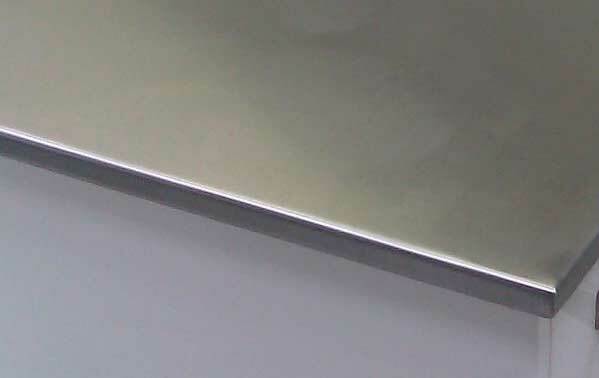 Stainless steel square edged kitchen worktop in 304 grade steel and 20mm thick. We can make them in virtually any thickness, 30mm, 40mm, 50mm , 60mm , 70mm and 80mm being the most popular thicknesses requested.